The E-2 visa is issued to individuals known as 'treaty investors'. A treaty investor is defined as a national of a country with which the United States maintains a treaty of commerce and navigation. You should be coming to the U.S. to partake in a substantial investment. Your investment may be less than that demanded for the EB-5 ($500,000). However, if the investment becomes equal or greater than $500,000, you may petition for permanent immigration status. Your spouse and/opr children under the age of 21 may accompany you under E-2 status. Your employees may also be eligible for the E-2 Visa. A filled-in visa application Form OF-156. Documents that establish that your cmpany is owned by foreign nationals. Your company meets the requirements of the law. The trade is substantial; there should be a continuous flow of trade between the U.S. and the treaty country. You intend to leave the U.S. after the validity date of the E-2 Visa. You have invested a 'substantial' amount. The investment must be active. The future prospects for the investment. 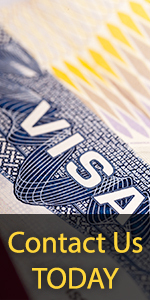 Other documents that establish your eligibility for the E-2 Visa. Note: There is no petitioning process for the E categories. E-nonimmigrant classification is granted through an application process. If outside of the U.S., the alien may apply for an E-1 visa on his or her own behalf directly to a U.S. consular office abroad http://usembassy.state.gov. If the alien is inside the U.S., the Form I-129 and E supplement is used to apply for a change of status, extension of stay, or change of employment. Applications for E-2 status may be filed only at the Texas or California Service Centers. However, if an alien currently in E-2 status is requesting a change of status to another nonimmigrant classification, the application for change of status must be mailed to one of the four USCIS Service Centers with jurisdiction over the new requested classification.